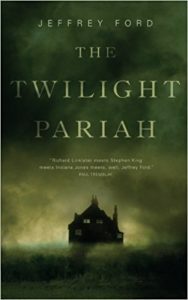 The Twilight Pariah, Jeffrey Ford (Tor.com 978-0-7653-9734-8, $14.99, 164pp, tp) Septem­ber 2017. A group of college students setting out to ex­cavate the grounds of a long-deserted mansion at night sounds like the plot of about half the low-budget horror films you scroll past while browsing through listings for the Shudder or Chiller channels, and I suspect Jeffrey Ford was perfectly aware of this while writing The Twi­light Pariah, a suitably tense and efficient horror novella that invites us to ask the question: what if these stories actually had characters in them? Ford’s short cast does include a former all-state high school linebacker – one of the mainstays of such horror films, although this one is gay – as well as an amateur archeologist and a would-be writer, but as we might expect from Ford, each of them has a life outside the narrow frame of the narrative, and each talks like an adult. 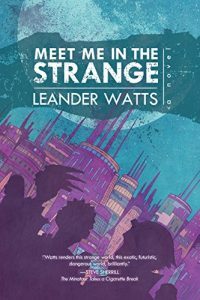 Henry, the narrator, works as the curator of a local house museum which almost no one ever visits, while living with his retired father who spends his days reading vintage SF paperbacks and watching old movies. Maggie, given to impulsive passions, such as auto restoration, has changed her major again, this time to archaeology, while the former jock Russell works at a dairy farm when not practicing football. 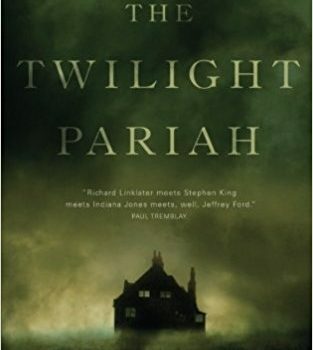 The three have begun to drift apart as each nears completing college, but all are briefly united, perhaps for the last time, by Maggie’s impulsive scheme to excavate the outhouse pit of the old Prewitt Mansion, deep in the woods on the edge of town, which has been decaying since its owner killed himself in 1923. After uncovering several useless old beer bottles, they find what appears to be a much older patent medicine bottle with some liquid still inside, and eventually the intact skeleton of a baby – but with tiny horns. Meanwhile, strange noises seem to emanate from the empty house, Henry’s dad tells him of being chased away from the mansion decades earlier by “something,” and their research – aided by a part-time college professor of dubious authority – begins to turn up connections between the Prewitt family, that patent medicine, the house museum where Henry works, and possibly an unsolved series of violent 1920s murders ascribed to a killer dubbed the Twilight Pariah. 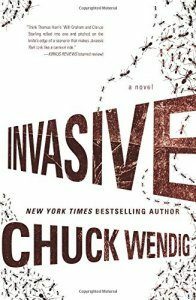 Matters escalate further when the three of them, along with Russell’s boyfriend Luther, explore the mansion’s basement, and Luther is at­tacked and scarred by something. More ominously, violence seems to be reaching beyond the grounds of the ancient mansion and into their lives, as the owners of the dairy farm where Russell works and a local waitress and friend of Maggie’s are brutally murdered. There is, in short, a good deal more plot in this novella than the initial haunted house premise seems to suggest, and while Ford ramps up to a sat­isfying pyrotechnic finale, what finally distinguishes the story is its understated but convincing portrayal of friendship and, as is usually the case with Ford, the presence of sentences we can admire and characters we feel we could have a beer with.